Finding the right spine surgeon to perform your surgery is just as important as determining what type of surgery will best treat your condition. You want to be confident in your surgeon’s abilities and expertise, and also comfortable with his or her bedside manner and care. At Tahoe Fracture & Orthopedic Medical Clinic in Carson City, Nevada, each spine surgeon is board-certified and well-respected in the field of spine and orthopedic surgery. If you’ve been recommended for surgery of the spine, we encourage you to speak with the surgeons at Tahoe Fracture & Orthopedic Medical Clinic. Trustworthiness — Surgeons and other medical professionals should always do what is best for the patient. That means a surgeon should only recommend spine surgery in the event of a medical emergency or when all other options have been exhausted. At Tahoe Fracture & Orthopedic Medical Clinic, we offer both nonsurgical and surgical spine treatments. Because we are knowledgeable in both areas of spine therapy, you can trust our recommendation for spine surgery. Compassionate — Undergoing spine surgery can cause a lot of patients to be apprehensive. You should have a spine surgeon who understands your concerns and helps to alleviate your worries by answering your questions and preparing you for the upcoming procedure. A doctor who has a compassionate bedside manner is a doctor who values what is best for each patient. Knowledgeable — You should have confidence that your spine surgeon is knowledgeable about your condition and the procedure recommended. Take some time to research your surgeon and learn about his or her education, medical experience and the number of years performing this type of surgery. 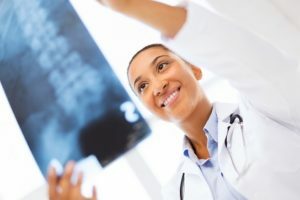 With the surgeons at Tahoe Fracture & Orthopedic Medical Clinic, you will find that we have years of experience treating common spine conditions. To learn more about the spine surgeons at Tahoe Fracture & Orthopedic Medical Clinic in Carson City, NV, contact us today.